Judith Hibbard is a Professor of Health Policy in the Department of Planning, Public Policy and Management at the University of Oregon and a Clinical Professor in the Department of Public Health and Preventive Medicine at the Oregon Health and Sciences University. Her work focuses on consumer decision-making and how consumers, through their choices and actions, can have a higher quality of care. Professor Hibbard serves on several advisory panels and commissions, including ones for The National Health Care Quality Forum and the Oregon Patient Safety Commission. She is an investigator on the CAHPS II project. She is currently working on a study of examining the assumptions about how consumers will behave when enrolled in Consumer Driven Health Plans. Her research is supported by the Robert Wood Johnson Foundation, AARP, and The Agency for Health Care Research and Quality. 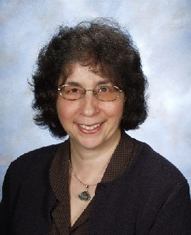 Her work appears in recent issues of: Health Affairs, Medical Care, and Health Services Research.